Many people don’t realize it, but speakers are actually powered by electromagnetic fields, generated by permanent magnets. Therefore, if you place extremely big or powerful speakers too close to computer hard drives, they can actually cause data loss. Speakers can also cause picture distortion on TVs or monitors, for the same basic reason. 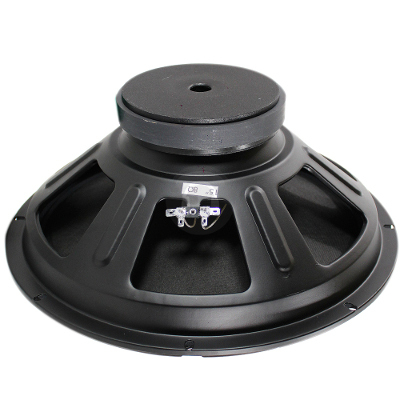 Because of these issues, it’s recommended that you magnetically shield your speaker drivers. The steps below explain how you can do so yourself without spending a lot of money. First, of all, you’ll need to figure out how to get the speaker drivers out of your actual speakers without causing any damage. All speakers are slightly different, so make sure you know how yours are built before you start opening them up with a screwdriver. You will need some kind of metal covering to wrap around the magnetic portion of your speaker drivers. This will capture the magnetic field and keep it from damaging or disrupting your other electronics. Typically, the best option will be something made out of steel that can fit over the circular back of your speaker driver. Measure your drivers, then head to a home improvement store to look for materials that might work. Bring a magnet along to make sure the metal materials you buy are magnetic. Remove the drivers from your speakers and place the steel material on and around the magnet on the back of the driver. Since drivers are circular, so are the magnets you need to cover up. Therefore, if you can find some kind of circular metal cap that is magnetic, that would be your best bet. Make sure the metal covers the magnet entirely, then tape it into place using electrical tape. The above steps should shield the magnets in your speakers. Now, when you place the drivers back into your speakers and put the speakers back together, you should no longer have to deal with magnetic fields that could damage or disrupt your other electronics!